This club-wielding warrior battles to the end and will never surrender..
FLIP: Destroy all monsters on the field. 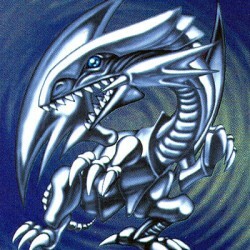 Both players then pick up 5 cards from the top of their Deck and Special Summon all Level 4 or lower Monster Cards among them in face-up Attack Position or fac..
Once per turn, during your Main Phase, you can equip this card to "X-Head Cannon" you control as an Equip Card, OR unequip it to Special Summon this card in face-up Attack Position. While equipped to..
Each time this card inflicts Battle Damage to your opponent, declare 1 card type (Monster, Spell, or Trap). Your opponent selects 1 card of that type from their Deck and sends it to the Graveyard. Als..